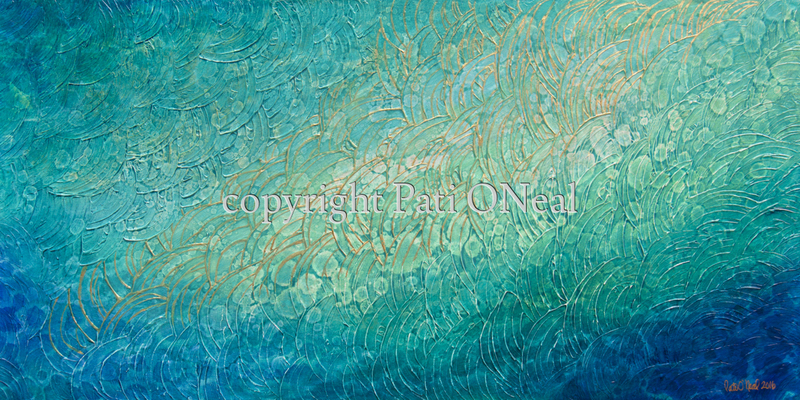 This textured and gold-leafed acrylic painting on canvas was created with the concept of shimmering light through water on the surface of aquatic life. The original is currently available at Sunshine Arts, Kahalu'u Oahu. For a similar commission, contact the artist.